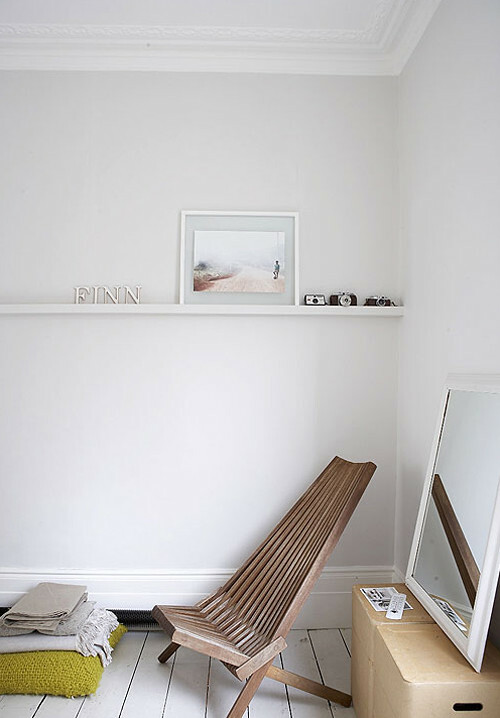 Today I’m loving … this beautiful picture and gorgeous chair. I have seen this chair before but I can’t remember the designer. Do you? J’adore j’adore et j’adore ton blog!!! I think the name of the chair is “Sunnyboy” But I dont think they make it anymore. I cant remember the name of the producer. But ask das möbel in Vienna. Thanks for all your comments and information! I was in Mexico in March and they sold this chair on different places along the road. The same place where you can buy hammocks. So you can imagine the price. Not expensive at all! It looks like they are not easy to purchase online. Maybe you will be carrying them? Wow, we have two of these chairs outside in our garden and I never thought of using them inside. They look great in this photo though. Maybe, I’ll bring them in!